coastal stream at Monterey Aquarium. curiosity. She is one of the discoverers. science to learn more about this wonderful world we live in. and three generations of Silvey aunts, uncles and cousins. be less joyous than starting second grade. explorers of the internal landscape of genetics and the brain. 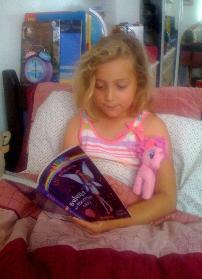 Katyana reads to her pony. 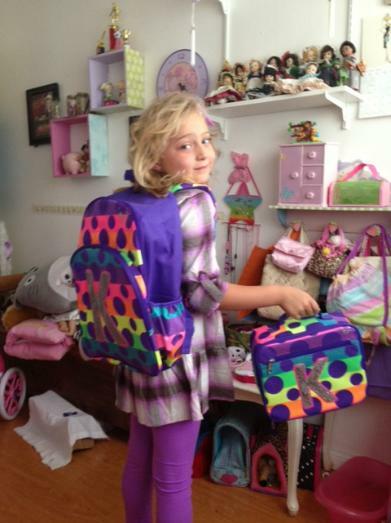 Katyana ready for second grade.